It started its life in the late 70's or early 80's with a fruitwood-colored frame, and was my uncle's and then my parents', then was store for a while, then moved in with me at my first permanent apartment. I quickly painted its frame off white. Then we moved a couple times and it sat around. I thought about painting it gold to go in our old living room, but never did. Now we have tannish walls and white baseboards, and I painted its frame white to go in the newest living room! I guess I have a thing about mirrors over fireplaces. 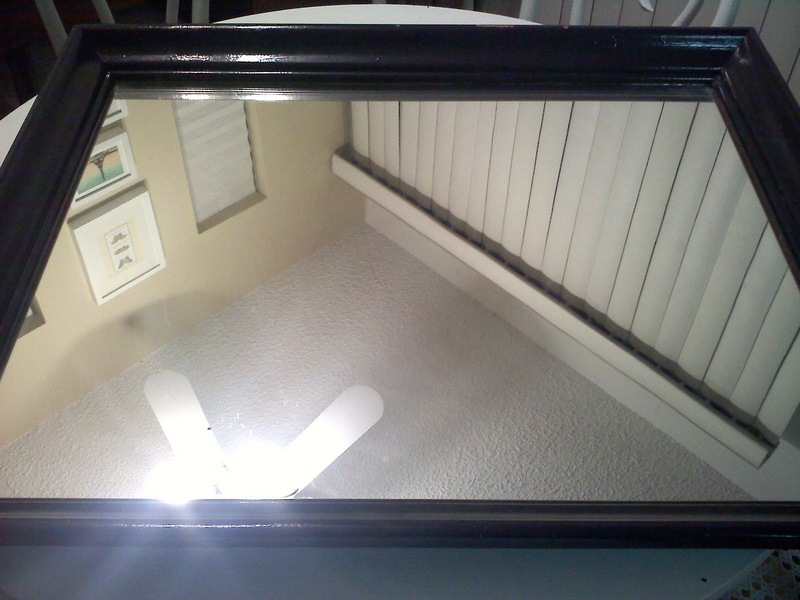 When I was a kid this mirror was over our mantel in the living room until my parents mounted a flat-screen TV there. I guess it balances the big hole in the wall underneath it? Do you know what I'm talking about--have you seen mirrors over fireplaces as a logical placement? 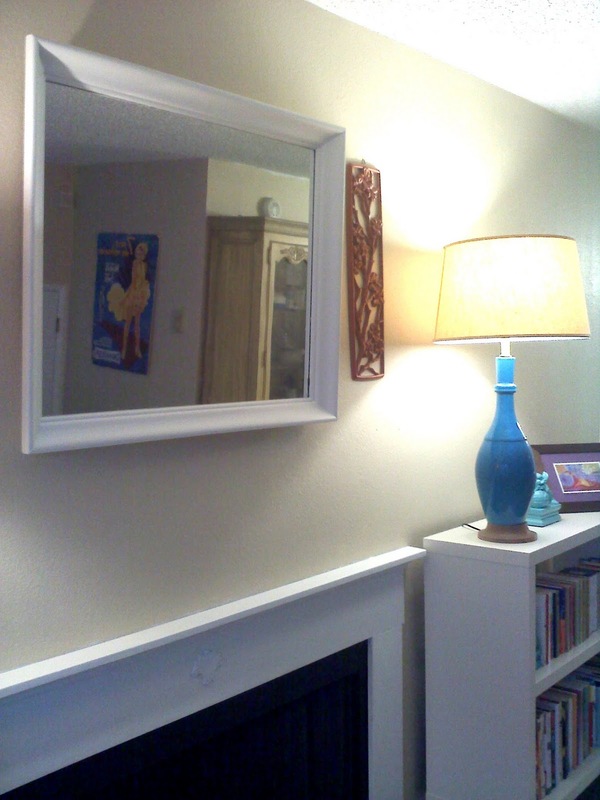 I also love mirrors over fireplaces, and yours looks great! But I especially love that awesome blue lamp on the bookshelf--so cute! It makes me want to spray paint my ugly black lamp a bright color! Aw thanks, that amazing lamp is actually ceramic glazed, vintage find from Goodwill. Looking at this post I really realize how hard mirrors are to photograph... haha! Isn't the mirror in Through the Looking Glass over the fireplace? If so, you might want to make yourself an Alice dress with pinafore, get a kitten, and see what happens!